We all know that the disciples of Jesus were “first called Christians at Antioch” (Acts 11:26). Orthodox Christians, however, have never left the environs of Antioch which is now a fairly large city in southern Turkey called Antakya where people still speak Aramaic. The Patriarchate of Antioch has been known for raising up great preachers like St John Chrysostom; great theologians like St John of Damascus; and great poets like St Romanos the Melodist in the past. Today, however, our Patriarchate is best known for raising a generation of martyrs, confessors, and thousands of ordinary people who have embraced the suffering of the Cross rather than give way to sectarian hatred and violence or give up the Faith of their Fathers. It is our great privilege at St Nicholas Church to be part of this family and to share in the glory of their suffering. All human beings suffer. All nations suffer. The Greek, the Serb, the Bulgarian, the Romanian, the Albanian, and the Russian Orthodox Churches used that suffering to come close to Christ by following the example of their Master, Jesus Christ. Persecution is the normal state of being for Christians (2 Timothy 3:12 and John 15:20). 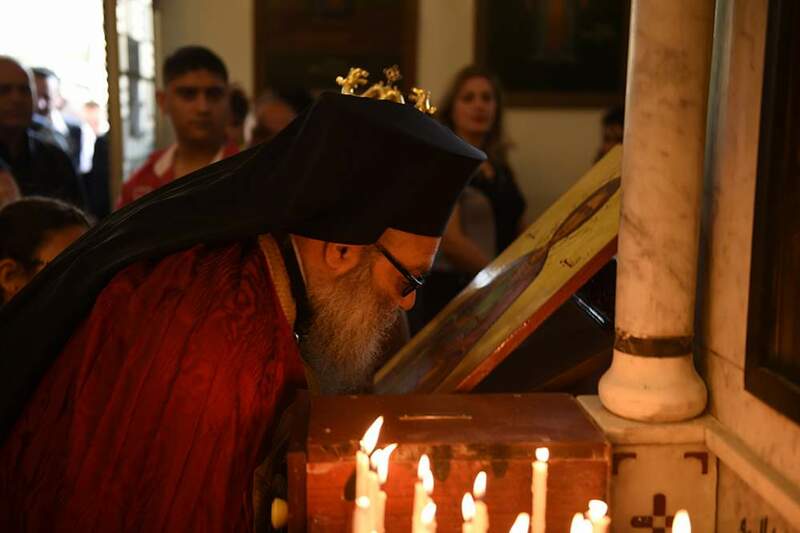 While martyrdom and undeserved suffering have always been a reality for Christians, these days have seen such an increase in persecution that some have wondered whether Christians can continue to give witness to the Resurrection in the lands of the Middle East. An essential element of our ministry and identity at St Nicholas Church is remembering the saints in prison for their faith in Christ and rejoicing in their triumph over death and despair. As our Patriarch, bishops, abbots, and abbesses have repeatedly told us this persecution is a battle between the God of Life and the god of death. It cannot be fought with the weapons of death or with hatred in our hearts. It can only be fought with the weapon of the Cross and our faith in the Redeemer. We are not children of this world. We are children of the Resurrection. It is in this this spirit that we at St Nicholas Church would like to share some stories of those who have laid their lives down for our Lord, of those who have been held in captivity for the Cross of Christ, and those who are still in prison for the testimony of the Gospel.